Is was so much fun again to see several members finished their blanket and showed their picture of it. Or of their table runner or shawl they made of it. So great! So please continue to share your pictures on facebook. Like mij husband said yesterday when I was scrolling through the group: ‘do you not find it a strange idea that your blanket is now in others people homes on the couch or on the bed?’. Yes, that still feels a little bit strange to me, but I also like it very much. Also an honor that people like the pattern. Probably you have yarn left. And how nice is it if you can do something with it. That’s why I made an extra project as kind of a closure to use that leftover yarns: a cushion cover or a bag. It’s a design that you can use in several ways, depending on what you want and how much yarn you have left. There is also a video with it, for making the strap or band of the bag, so watch that too. 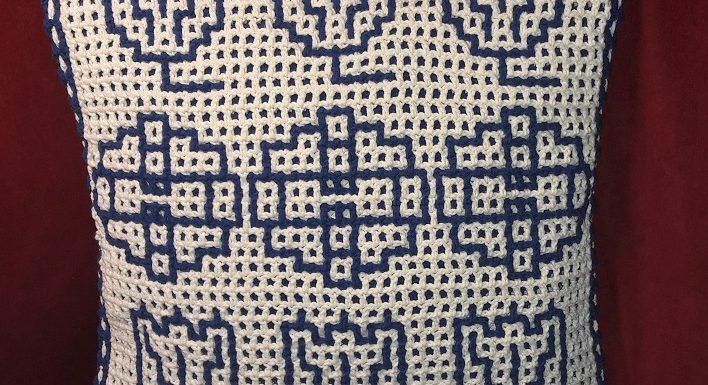 Even if you will not make a bag, then you still learn to do the bottom a little bit different by working into the back bumps of the chain row, and you learn how to do the first double crochet in a row differently. I want the existing facebook group of the Hooked and Locked CAL to be especially for that purpose. But there will be more designs, and other things too, and I also do other crafting techniques. Some may not be that familiar, but so much fun to do also. I would love to share that with you. Of course I can do that just on my public page, but I do enjoy the interaction in the group very much, and this way you can share what you have made, a place where you can ask questions and can help others. It is however a group that is reserved for my work and what you make with it, so not a group where you can share all of your other work, but I hope that will not keep you from signing up. Link of the group: https://www.facebook.com/groups/TheCraftsteacherProjectgroup/. If you are already a member of the Hooked and Locked CAL group, then your membershp will be automatically approved. So The Hooked and Locked CAL group will just continue to go on! 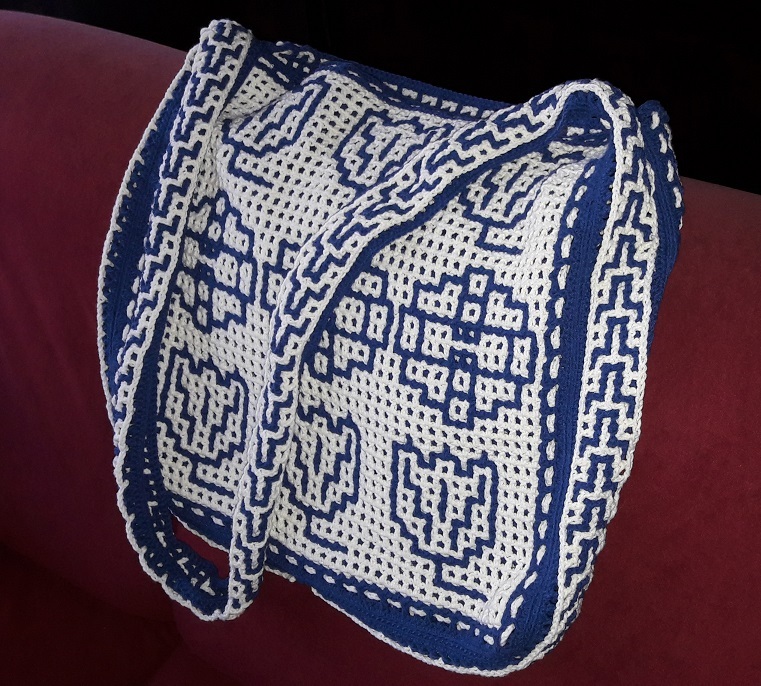 Here is the link: https://www.dehandwerkjuf.nl/en/crochet/hooked-and-locked-cal/hooked-and-locked-cal-bonusweek-cushion-cover-and-bag/ <removed>. I’m wishing you lots of fun again with this! And see you in the new group!